Toledo OSHA Training and Safety Programs are available to employees online or on-site via our convenient services packages. These include both OSHA construction programs as well as OSHA General Industry offerings. Located at the western end of Lake Erie in northwestern Ohio, Toledo was founded by United States citizens in 1833 on the west bank of the Maumee River. Originally incorporated in Michigan, the city was re-established in 1837, after conclusion of the Toledo War, when it was incorporated in Ohio. Toledo grew quickly, due to it’s geographic position on the railway line between New York City and Chicago. It also benefited from the construction of the Miami and Erie Canal. In the modern era, the city has become a city with a distinctive art community, auto assembly businesses, education, healthcare, and local sports teams. Toledo’s glass industry earned it the nickname, “The Glass City”. As in other states, the federal Occupational Safety and Health Administration (OSHA) regulates worker safety in the state of Ohio. While Ohio does not have it’s own state plan certified by OSHA, employers are bound by the OSH Act of 1970. The General Duty Clause of that act specifies that all businesses, whether public or private. must provide for a safe and healthy workplace for it’s employees. Toledo OSHA Training Programs following federal suggested guidelines for essential safety training. 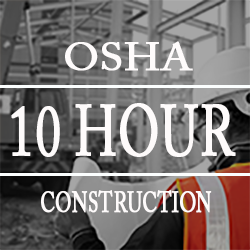 Construction employees are urged to complete an OSHA 10 Hour Construction Training Course (or equivalent) to provide this knowledge and awareness. The course can be taken in less than two days. The Department of Labor Issues an OSHA Wallet Card that is valid in all 50 states. Supervisors may take additional training online or on-site. The OSHA 30 Hour Construction Training Course is available for foremen, supervisors and executives. Those workers that are not in construction may also benefit from the same Toledo OSHA Training Programs. 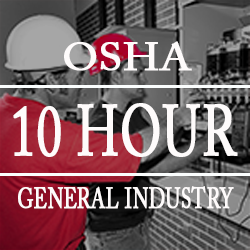 The OSHA 10 Hour General Industry Training Course and the OSHA 30 Hour General Industry Training Course are available to those in healthcare, manufacturing, logistics, distribution, education and other non-constructive industries. Students that successfully complete the online OSHA Training Courses, are entitled to receive their Department of Labor OSHA Wallet card in approximately two weeks after completion. Student may immediately print out a certificate of completion as proof of content mastery for their employment. Companies in Toledo are required to post OSHA workplace compliance posters and must conform to the OSHA standards found in CFR 29 (Code of Federal Regulations). They also must comply with the illness and record keeping requirements (see Part 1904, 1903 and 1910). 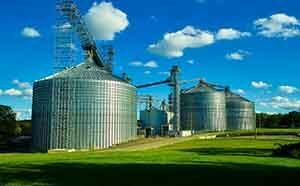 Construction standards are covered in Part 1926 and agricultural standards in part 1928. Toledo OSHA Training Programs, as described previously, while not mandatory, are highly encouraged by state safety organizations and agencies.